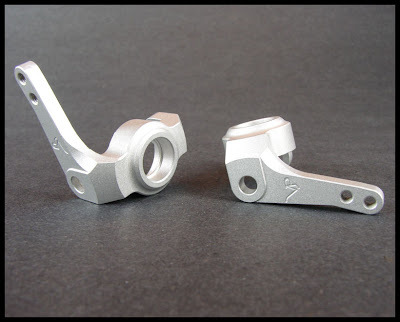 Pictured above are the steering knuckles for the Axial AX10 from Vanquish Products. The knuckles are made from CNC 6061 aluminum and come in two colors: black and silver. 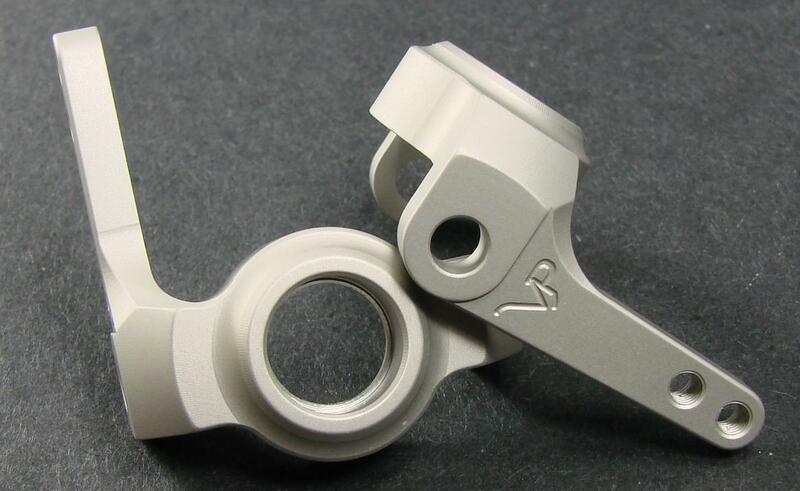 The top picture is the High Steering Knuckle (part#VPS01171 Black and VPS01172 Silver). The bottom picture is the High Steering Knuckle Zero Ackermann (part#VPS01177 Black and VPS01178 Silver). The zero ackermann knuckles offers a different steering radius compared to the regular steering knuckles.